“Build a Dream Playhouses™ was founded by a Cleveland father dedicated to the futures of the City of Cleveland, the State of Ohio, and the imaginations of children. To achieve that, and reflecting on his city’s hard times, he collaborated with the world famous Nottingham-Spirk Design Associates, a group of 3 to 9 year old children, and the Smurfit Stone Container Corporation, Build a Dream Playhouses™ is now proud to introduce to you what we believe to be the most innovative, fresh, and fun playhouses on the market. We hope you enjoy our products and we look forward to introducing many more in the near future.” Oh my! This is so cool. Every kid will want this one. You could save this for a Christmas gift and be way ahead on your kids list! You can read Miss Frugal Mommy’s review to discover more about the Pop N’ Play Castle! Now for the exciting part! 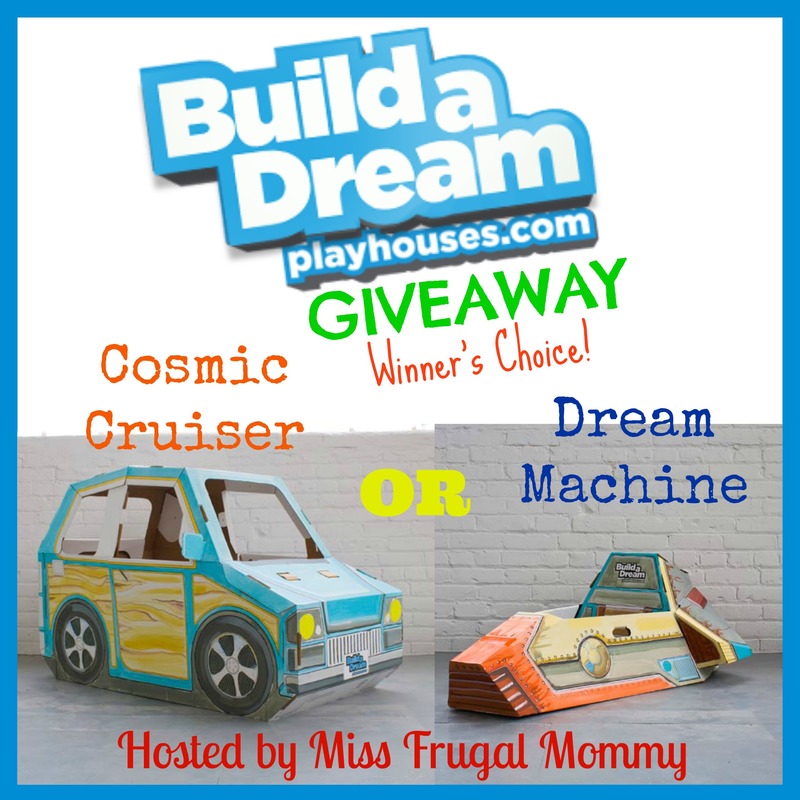 One lucky fan is going to win either the Cosmic Cruiser or Dream Machine (winner’s choice.) Winner must not have been a winner of Build a Dream Playhouses in the past. This giveaway is open to US residents 18 and older. Enter to win in the rafflecopter below, all entries will be verified, one entrant per household or you will immediately be disqualified. Winner will be contacted via email and has 48 hours to respond before a new winner is chosen. Good Luck!!! Previous post: Sennsational Creations Bucket Tote!